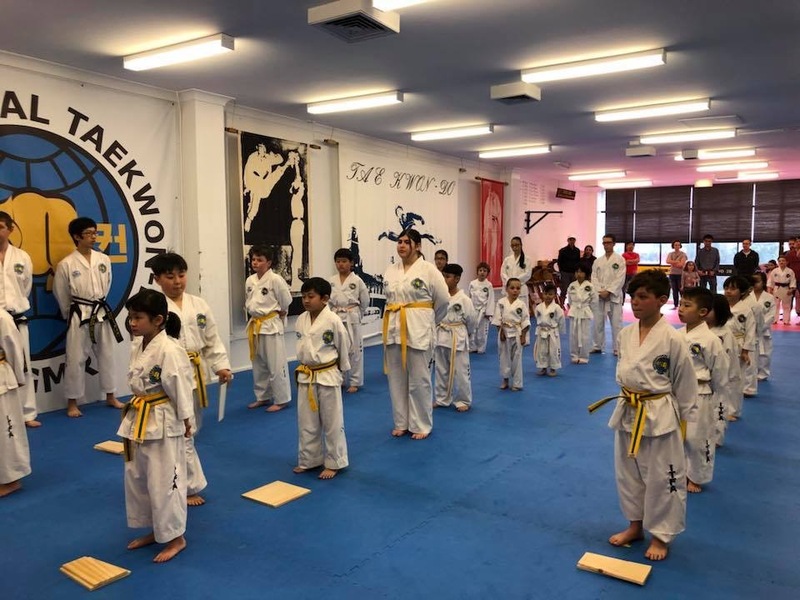 HOMENewsFGMR unites Taekwon-Do at ITFA IIC!!! 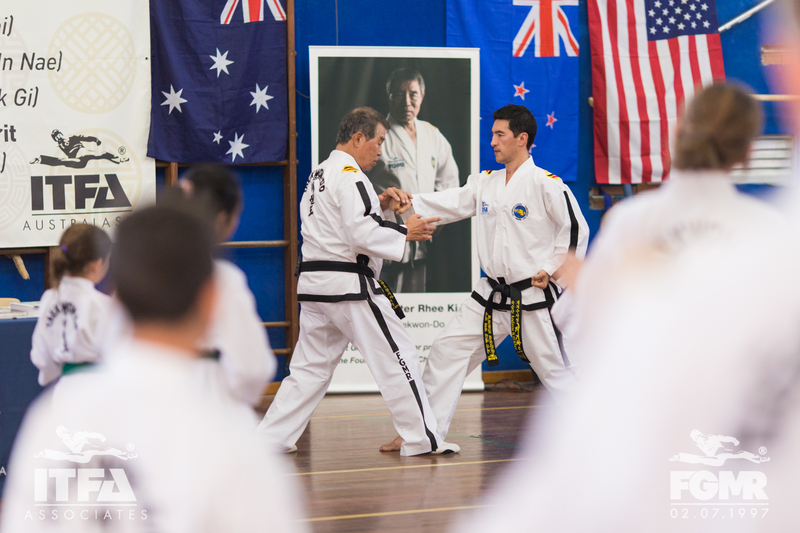 On Saturday 9th and Sunday 10th April 2016, Taekwon-Do Practitioners from across Australia, New Zealand, America and the UK came together in Sydney to participate in the ITFA International Instructor Course, conducted by First Grand Master Rhee Ki Ha (FGMR). 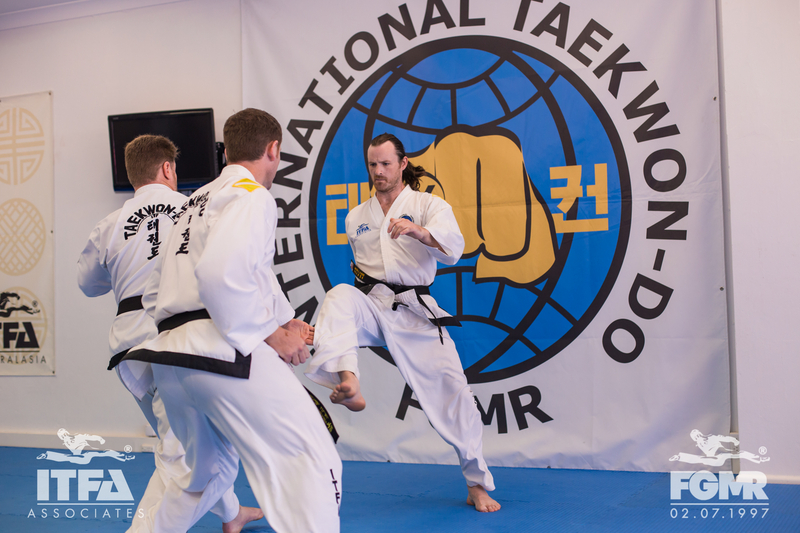 Representatives from four ITF-style Taekwon-Do organisations came together to share knowledge and learn from the Taekwon-Do Pioneer in this, the Golden Jubilee Year of the ITF. Hosted by the ITFA, members from Bai Rui including Master Donal Byrne, VII Dan, Precision Taekwon-Do and Authentic Taekwon-Do Central Coast came together to cover all aspects of the Art including Patterns, Step Sparring, Terminology, Moral Culture and the History of Taekwon-Do, in particular FGMR’s personal account of events over the years. 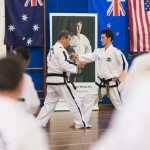 The event started with the Black Belt Formal Dinner on the Friday night. This was a fantastic opportunity for participants to mingle and get to know one another or to catch up with old friends prior to the IIC. 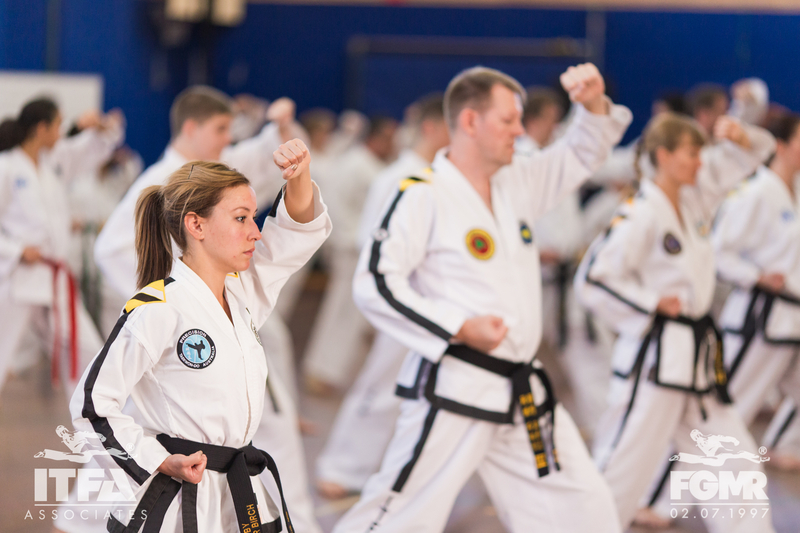 The IIC itself kicked off on Saturday morning with the FGRM Colour Belt Seminar. On Saturday afternoon, 2nd Kups and above began the senior grade content. There was plenty to discuss including the names and applications of the release movements. 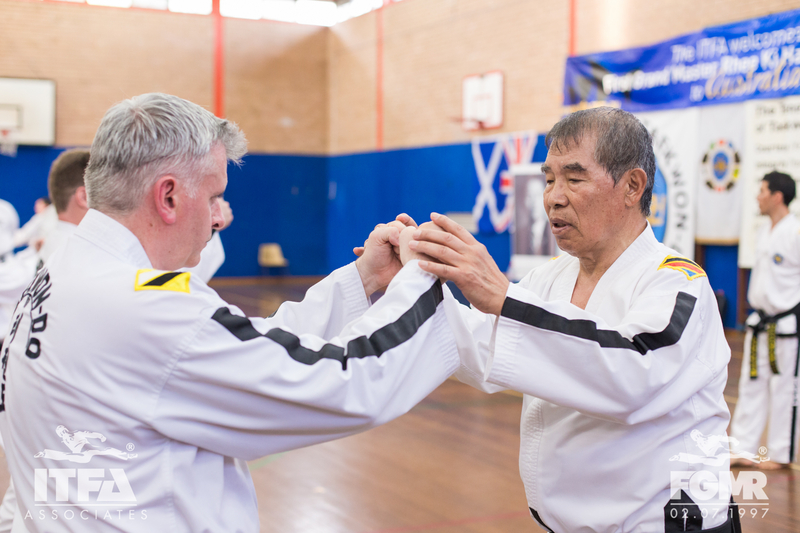 So often performed incorrectly or mis-interpreted, FGMR demonstrated and explained how and why these movements are performed, which directly correlates to their names. 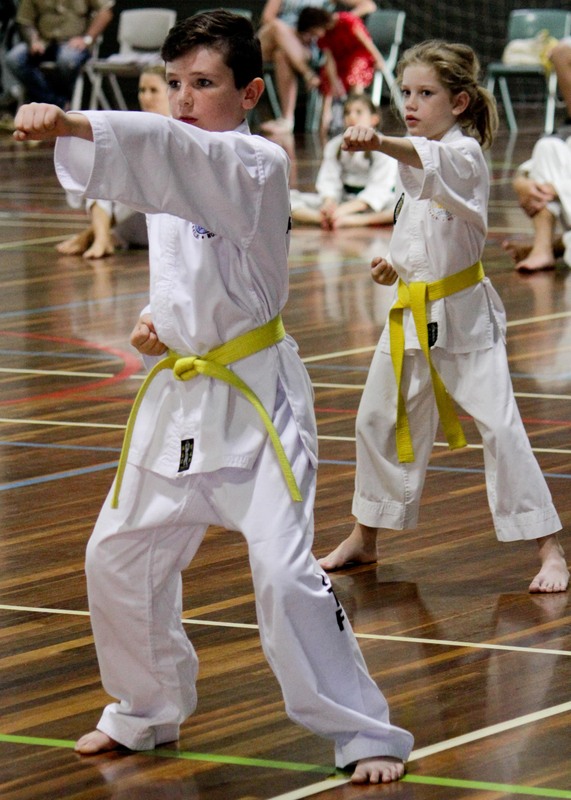 With all grades represented from 2nd Kup to VII Dan, everyone covered content relevant to their grade. 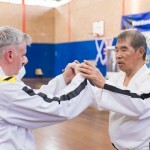 Morrison, I Dan, ITFA Associate USA and Mr Darrin Nunn, I Dan, Mr Ray Wehlow, I Dan and Mr Wayne Brown, ITFA Rockhampton were presented with their ITFA National ‘C’ Instructor Certificates. All participants received an FGMR IIC attendance certificate and a commemorative FGMR ITF Golden Jubilee comparative keyring. 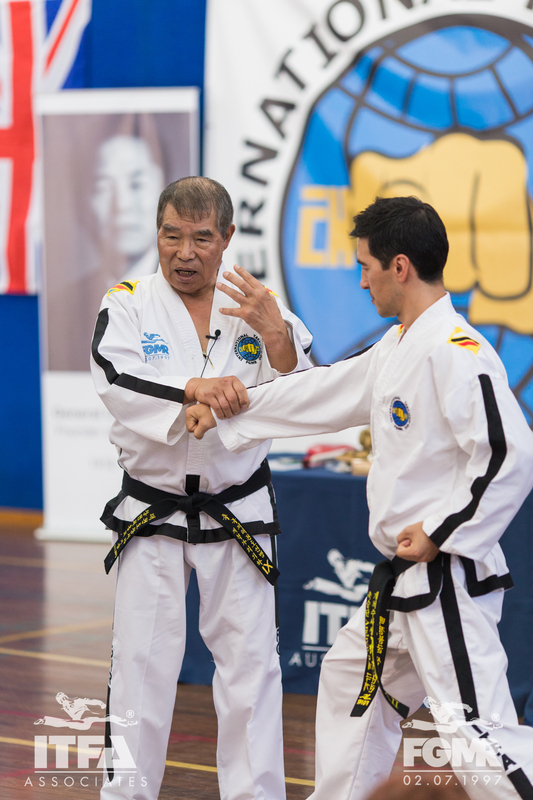 The IIC was followed by the ITFA Black Belt Grading at ITFA Headquarters (see separate post). regardless of affiliation. 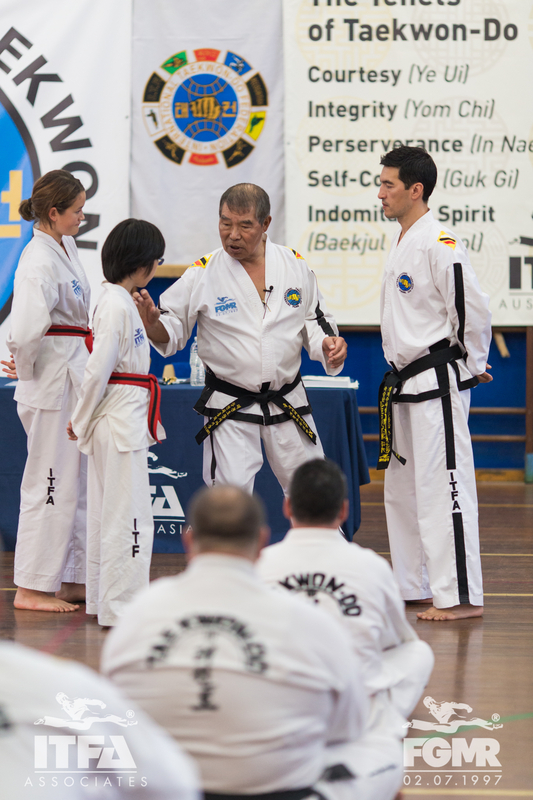 Contact info@itfa.com.au for more information on the next course coming up on 24th and 25th September 2016. 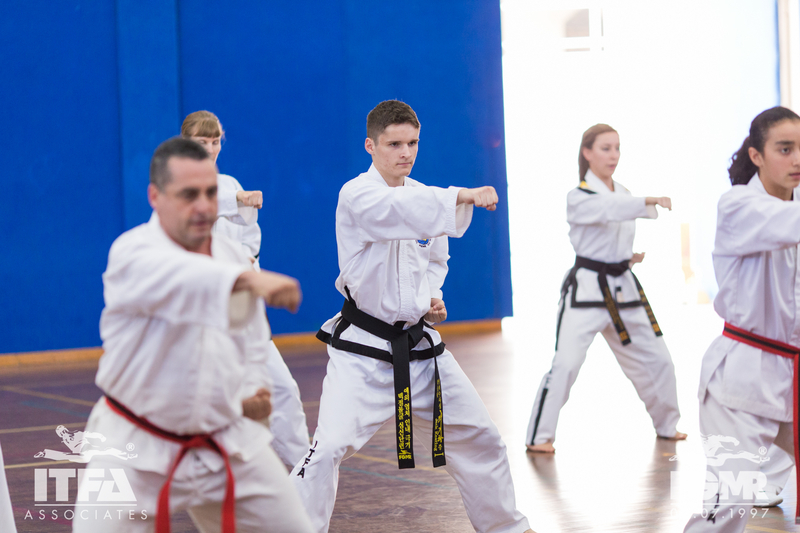 No Comments to "FGMR unites Taekwon-Do at ITFA IIC!!!"